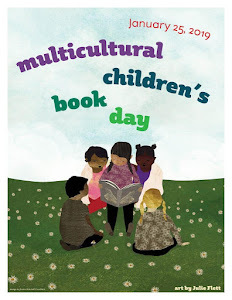 This week is Children's Book Week and I wanted to highlight three beautiful books. 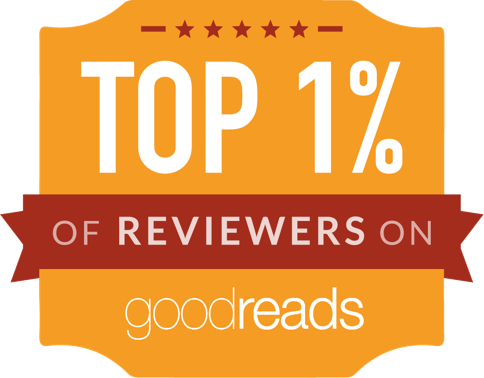 My review follows each book's description. Until Bear comes along, that is. Bear crushes the daffodils, drinks the pool water, and happily gobbles up the birdseed and corncob. Today was a perfect day for Cat, Dog, Chickadee, and Squirrel. Now, it's just a perfect day for Bear. If ten different people were asked what their perfect day would be like, we would undoubtedly get ten different answers. 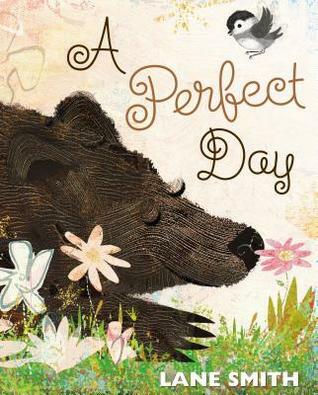 Well, in Lane Smith's latest children's book, a perfect day means different things to different animals in Bert's backyard. It means snuggling in the daffodils for cat and sitting in a pool filled with cool water on a hot day for dog. But what does it mean for Bear? On the back cover flap of this book is a photograph taken outside the author's window of a bear who came out of the woods to find out what's in the bird feeder. I loved how the author used this incident and created a story. 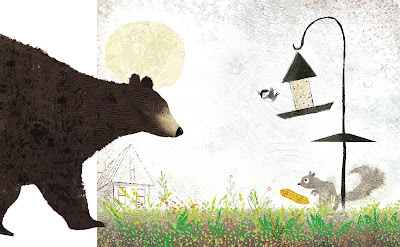 Using mixed media and earth tone colors, the author brought out the joys of a perfect day for the animals and, much to the astonishment of Bert and his animal friends, the surprising way Bear has his perfect day. 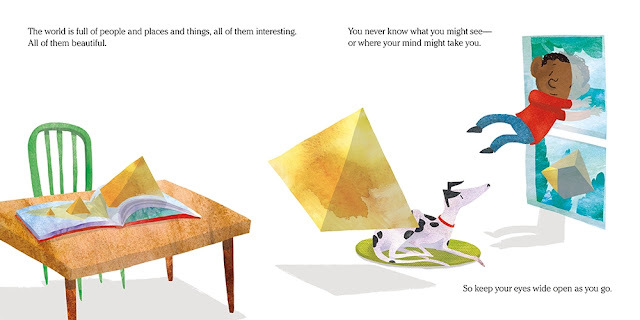 With few words that convey much, young readers can learn that there are different perspectives in life, and whether we like it or not, sometimes that's just the way things are. In this heartfelt picture book, readers are taken on a stunning journey into the imagination of a young boy―who explores everything from the pyramids of Egypt to a dusty footprint on the moon―and then back out again to the wonderful world right in front of him. From a lost balloon to an endless road, there are stories to discover, to dream about, and to share. 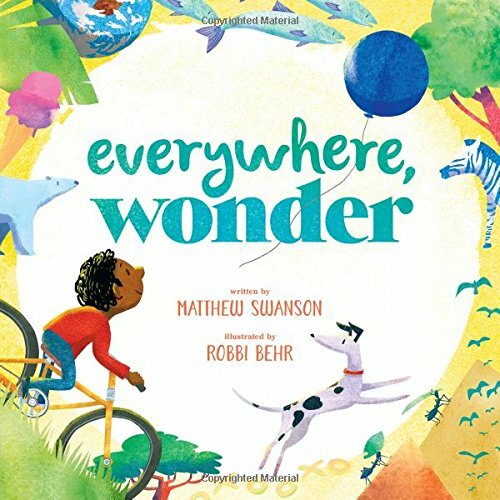 Everywhere, Wonder is all about taking the time to explore the world around you through books and nature. The author conveys that books are like gifts to us from the authors who love to write them. And there is much to see in our own world or neighborhood. A dime at the bottom of a pool is like a sunken treasure, and a country road can lead to anywhere. This is a book that encourages children to search, explore and learn, to read, and to use their imagination. It even encourages them to write or draw their story derived from this exploration. I love that! I know that as a child this book would have spoken to me. And as an adult it made me realize the importance of encouraging our children to make up stories and for them to tell others about them. Who can resist the appeal of a child telling a story? The illustrations are bright and colorful. 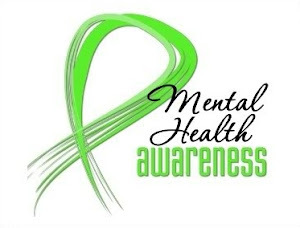 The tone is encouraging, uplifting and positive. The author talks directly to the young reader and makes him feel special. The text includes questions, making the reader ponder as he reads. 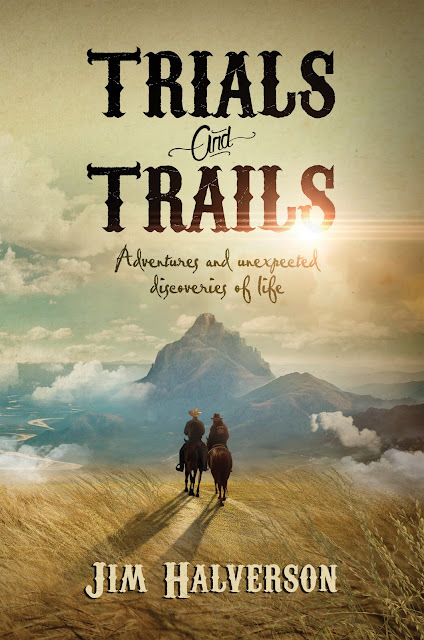 This book is universally appealing and for all ages because we all have stories to tell and experiences to share. This would be a perfect book to read to a classroom of children, to inspire and to teach that we all have much to contribute. Matthew Swanson was born at the base of a dormant volcano in Colombia, South America, an unwitting child of the Peace Corps. He spent his formative years in Kansas, subsisting entirely on corn products and writing horrible rhyming poetry. Now he is the author of books for children—including the picture books Babies Ruin Everything and Everywhere, Wonder (Feb 2017) and The Real McCoys, a densely illustrated middle grades series launching fall 2017—all of which are illustrated by his wife Robbi Behr and published by Macmillan. What do two bored badgers do when they’ve done everything, including driving their mother around the bend? 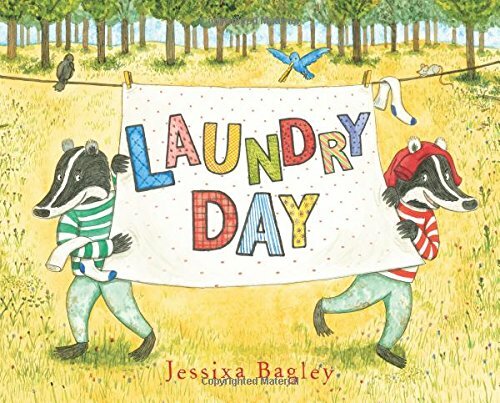 In this spirited picture book, Tic and Tac, two adorable badgers, get a little carried away while helping their mom out with the laundry. What happens when two badgers run out of things to do and their mom suggests they help with the laundry? Of course, by help we mean their imagination soars and they get carried away! Both parents and children will be able to relate to Tic and Tac who take up mom's offer and turn laundry day into a fun game. I remember when my kiddies used to help me around the house and how they would turn that into a game and make more of a mess than anything else, but that process is part of how kids discover their world and learn new things. This is a delightful book, with two brothers who have fun together and a mother who is very patient. Children see the world with different eyes and can turn a simple and sometimes boring chose into a fun activity. Sometimes they need a little prompting. As parents, when our kids get bored, it's helpful to remember that letting them do a chore their way can be more fun and is more educational than watching TV or playing on a device. Although I do think that parental supervision is also important. The illustrations are cheerful and detailed, so that young children will enjoy pointing out all the different objects, and parents can also use this book as a game to find all the objects they see on the pages. This is a great way to learn the names of new objects. I know my son loved books filled with detailed things. A cute, fun book that will delight and amuse children. Disclosure: Thanks to Raincoast Books for sending me these books for review. I was not compensated in any other way, nor told how to rate or review this product. I love the look of each book!